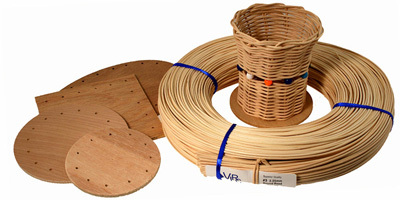 For more than 30 years, we've used this basic 4" wood based basket with round reed weavers for children from ages 8 through 14. SCROLL DOWN THIS PAGE to see Kit Descriptions & Prices. Why the same basket, year after year? 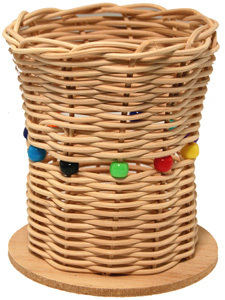 ...because this basic basket type offers the most success and satisfaction for all skill levels of children in any setting. We've personally* taught this basket in inner cities, country schools, summer camp, Bible school art projects, art clubs, children's museum sessions. public & private schools and more. We absolutely guarantee your success! 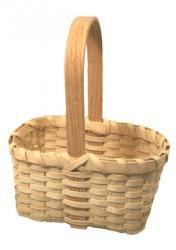 Need some basket teaching tips? 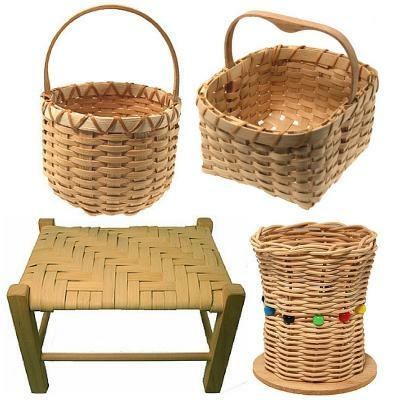 Be sure to visit our Basket Weaving with Kids page. 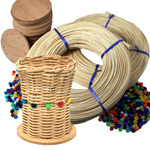 If you need more reed and bases for extra students, you can also purchase those separately on this page. PURCHASE ORDERS. Yes, we're happy to accept your school, camp or institution purchase order. Fax PO's to 561-828-5968. Your order will ship immediately. You'll receive email sales receipts & tracking numbers if you include an e-mail address. Or, Email PO's (as a .pdf, .doc or .jpg attachment) to [email protected] with "Purchase Order" in the Subject line. For those older children with obvious basket weaving talent, we show examples of dozens of ways to experiment with pattern weaves. 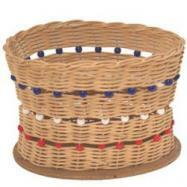 We also use beads on the spokes or weavers for variety. Visit our Art Teachers Page to see these ideas and more teachers tips. As the teacher flits about the room like a hummingbird, checking weaving tension and reassuring timid weavers, this basket assures that everyone goes home happy! *Linda Hebert, our founder and kit designer, has been an Art Education teacher for more than 30 years, and was an Arkansas Artist-in-Education for 10 years.